Special moments in your life deserve to be celebrated in the right way – with a pleasant company of your loved ones gathered around flawlessly served meal on your dinner table. All you need are some cooking skills and a sparkle of imagination to make your birthday, anniversary or professional promotion to stay unforgettable. Of course, some dinners may have more romantic tones; they are carefully prepared just for the two of you to enjoy and relax with a glass of sensual wine and have an amazing time together. 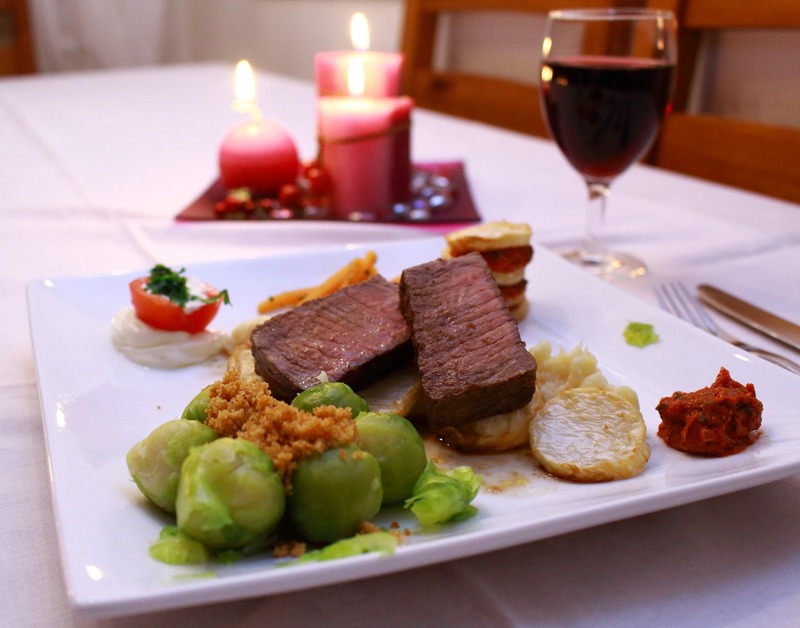 Whether you plan to invite a lot of guests to your dinner party or you just want to share your affection privately, you always have to be aware that the key of a perfect dinner is the right wine paired with the food you serve. 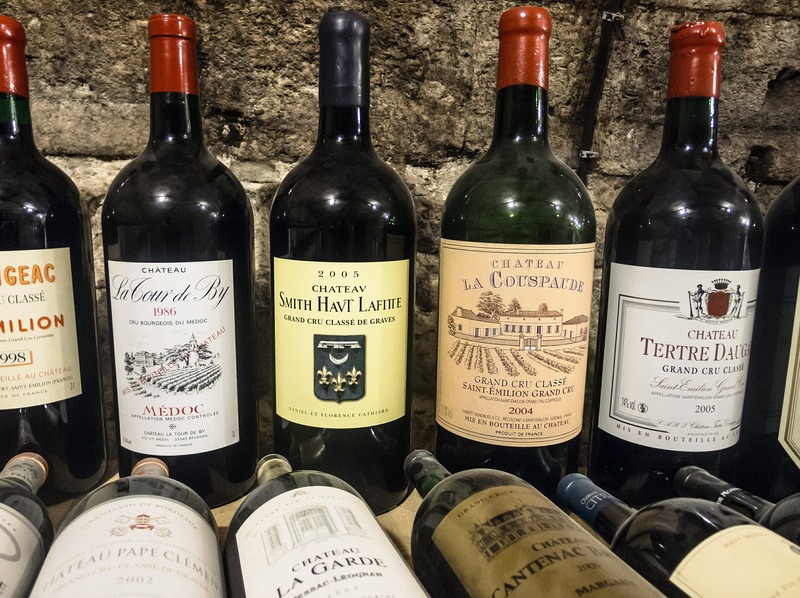 We would like to have a startling evening and help you with a few useful tips to find the right wine, so you can truly have a dinner made of dreams. If you serve grilled or fried meat on your dinner table, then your logical choice would be a glass of red wine. The texture usually follows the rules, so heavy foods are best with bold and rich wines; since wine doesn’t contain any fat, then food with high levels of fat, such as: pork chops, penne with bacon, steak frites, hanger steak and filet mignon will have a fantastic taste combine with bold red wines, Bordeux Blend, Pinotage or Malbec, just to name a few. For leaner cuts of beef you can’t go wrong with light or medium-bodied red wines – Merlot or Pinot Noir will give tender sense to your favorite steaks. Pinot Noir’s full savory depth goes remarkably well with mushrooms and truffles; the flavor will last quite long between your sips. Lamb has delicate texture, so you need to select lighter red wines, for example, Petit Verdot or St. Laurent to experience delicacies, such as “Lamb with apricots” or “Lamb shanks with olives”. The acidity of the light red is a perfect match for rare steaks, so “Beef and Venison Tartare” or “Beef Pho” will taste unforgettable. Medium red wines like Merlot or Barbera are great combination with dairy products or vegetables, so, if you prepare a wonderful salad or seasoning French cheese as a special treat for your guests, have in mind that a bottle of medium red should be close by. Your party can have that casual and relaxing tone if you include selected rose wines in your list of drinks for your special event. This kind of wine works superbly well during summer days and paired with warm-climate cuisine (Greek, Mexican, Indian, etc.). Rose wines are ideal for appetizers; it works perfectly well with sandwiches, salads, olives, sausages, pizza and hamburgers. It will look like a touch of elegance even if your dinner consists mostly of usual type of fast food; your guests will see the difference and appreciate your style and efforts. 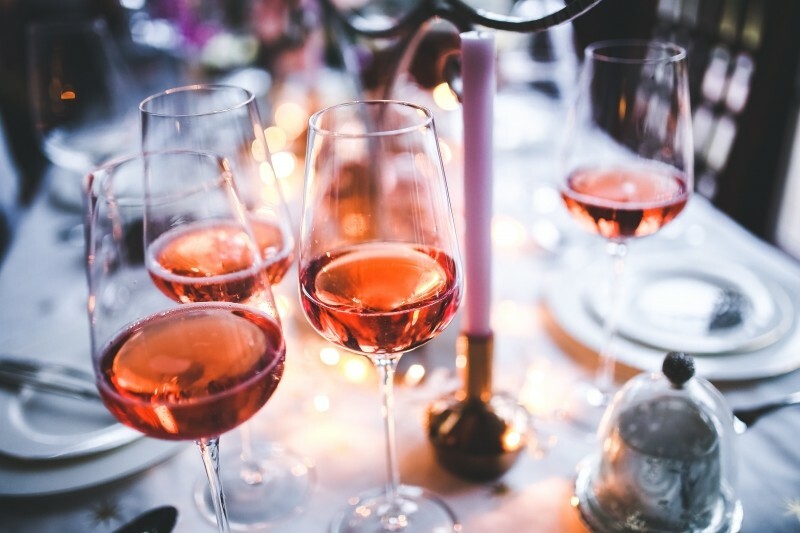 Also, rose wines are preferable combination with all kinds of sea food or fish, so, if you choose salmon, tuna, crabs or shrimps for your main or side dishes, a bottle of Provencal Rose, Syrah Rose or Garnacha Rosado will steal the show. Tomato salad, Tuna and egg on a baguette and Beet risotto are among incredible suggestions for your dinner table and wines like Bandol Rose or Tavel Rose are truly their perfect match. For sophisticated and classy gatherings, as well as special occasions or events, white wines are always perfect fit. You will elevate the mood of your guests and impress them with sensible pairing of variety of white wines with delicious food – well-balanced and at attractively served for your perfect dinner. As usual, there are some important guidelines when you make these pairings. White wine is a natural companion of fish, especially with medium to full-bodied white wines, like Chardonnay or Marsanne. Chicken meat will have an amazing taste and gently melt in your mouth with a few sips of rich white wines, so if you select “Chicken Tostades” or “Chicken and mushroom Paellas” for your main courses, then keep them in a smooth company of light white wines - Vouvray and Albarino. 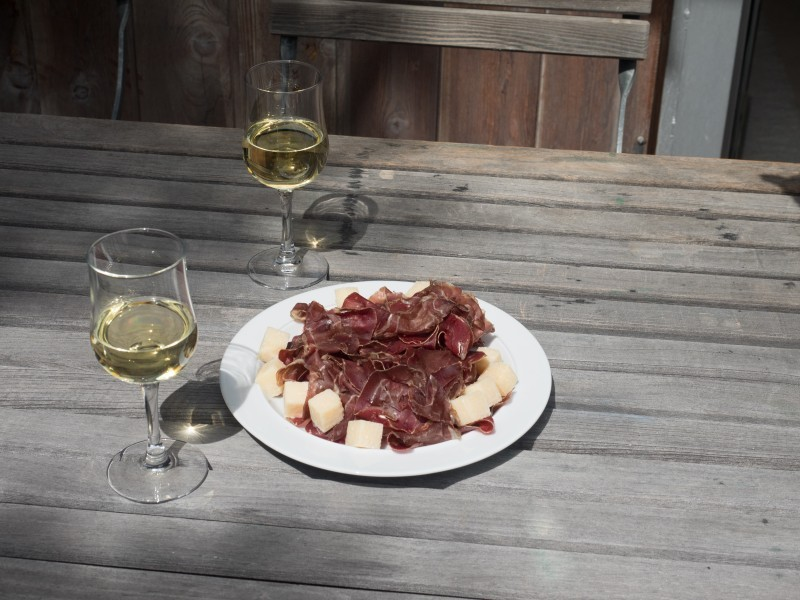 Light wines like Saugvinon Blanc and Verdejo are ideal for dressings and sauces; their bright freshness can’t be overwhelmed by tangy foods. Spicy Asian or Indian dishes or vegetarian style of cooking with a lots of fresh herbs deserve to be accompanied by off-dry white wines with slight sweetness in order to tame the heat of strong spices and provide remarkable scent when they touch the tongue. Champagne and other sparkling white wines are fantastic combination with salty foods; most of these dry sparkling wines have a slight touch of sweetness which makes them extra-refreshing when they meet with salty specialties. Also, Champagne and Sparkling White are wines of seduction – they feel unforgettable in the company of caviar and shellfish, so keep in mind that every sip will make you closer to have a truly romantic perfect dinner. Didacton offers a course in which you learn more about wine and cocktails. Please click on the link in case you are interested in learning more about this.